It has been a while since I last met these two highschool sweethearts of mine, now, the banker and the doctor. We've all been so caught up with our own busy lives (read: work) and somehow plans to meet up has always failed to materialize one reason or the other. 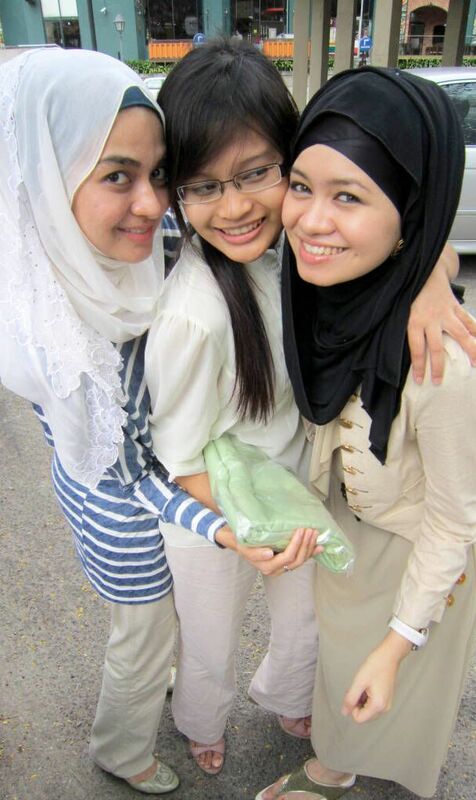 As I don't have any sisters, I regard my girl cousins and close friends as sisters. And Shereen and Sarah fit right into this category. 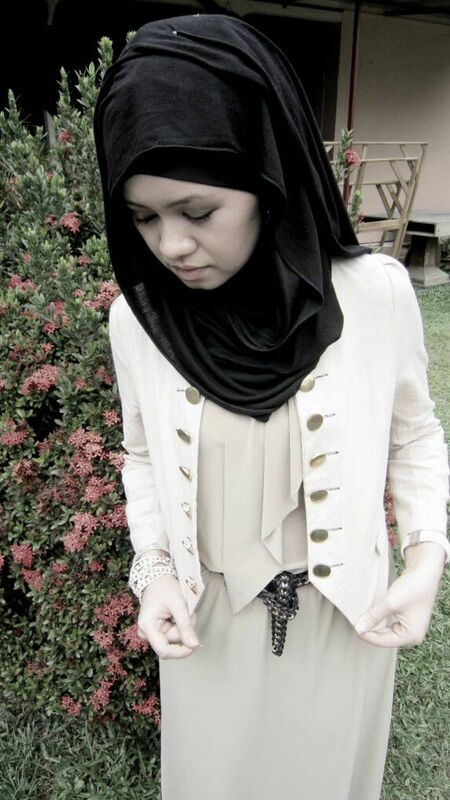 Initially, I was only supposed to meet up with Shereen as she wanted to give me a little something something. Sarah was on her way back home from the hospital after a grueling 36-hour on call and although she was sleep-deprived, she wanted to meet up and came anyway at the very last minute. 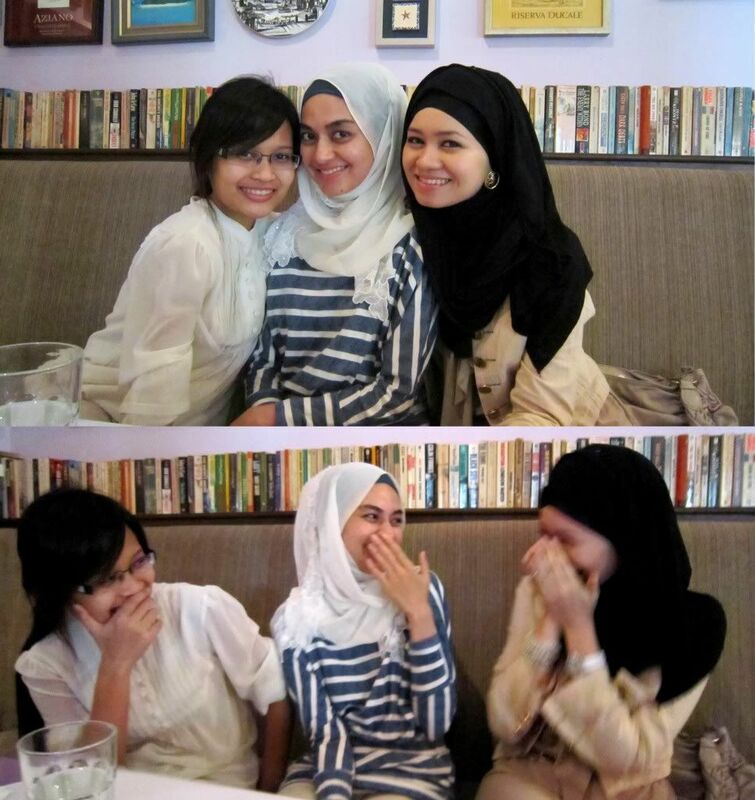 So we agreed to meet up for lunch at Porto Romano, Ampang. Me getting ready to meet 'em. I wore something practical and simple. Me and Shereen, date for the day. Sarah joined a little later. Porto Romano reminds me of home. 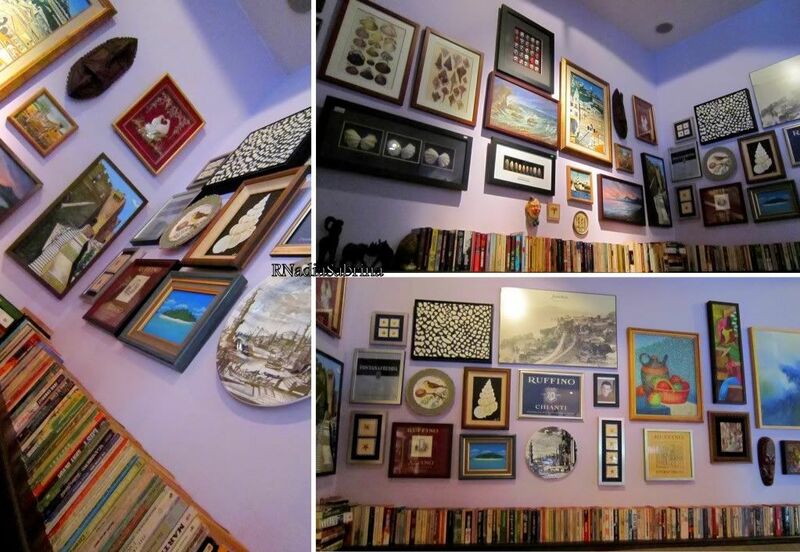 The place was surrounded by lots and lots of books, lovely framed items and artistic items. 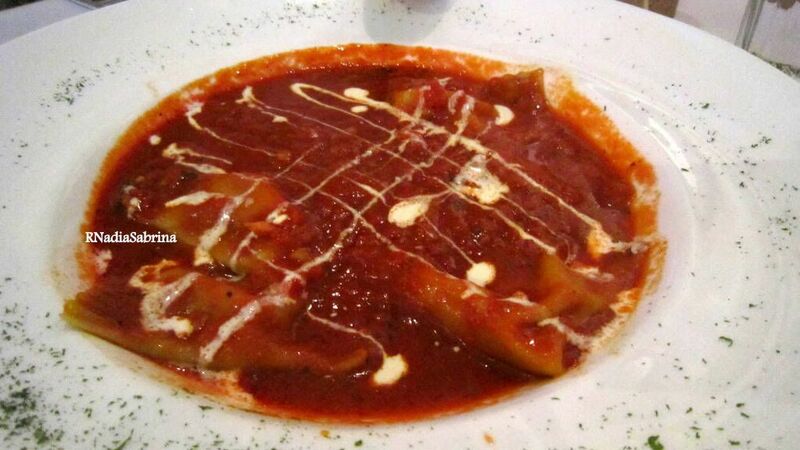 We ordered Ravioli with Smoked Salmon Filling. I liked it and finished it even though the girls thought it was a bit too sour. I am a huge salmon fan so I might be a bit biased on all salmon dishes. 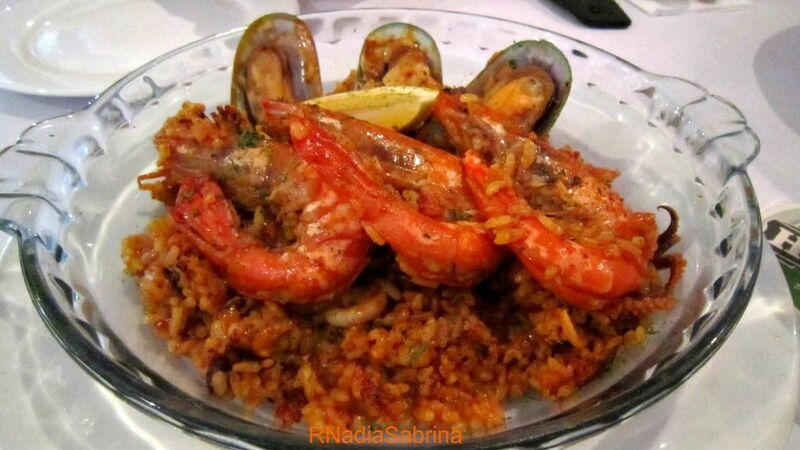 We also ordered the Paella Tradizionale, which was Paella of rice served with chicken and seafood. The portion was not as big as the price suggested (we were sharing) and although it was a nice dish, it wasn't anything amazing. For dessert we had Crema Catalana. This is just like Creme Brulee and the dessert was very sweet and delicious. It was simple but a satisfying dessert. The creamy dessert was perfectly topped by a crunchy layer of burnt caramel. 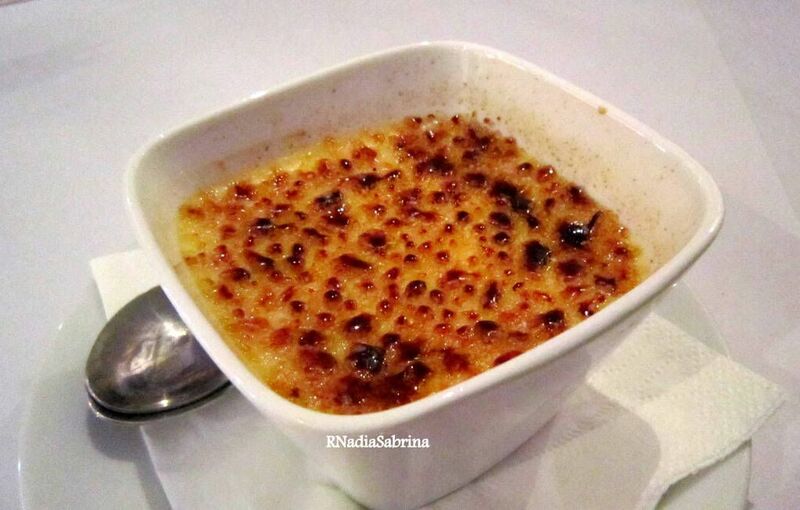 It was one of the best Creme Brulee I've had and is a definite must try. 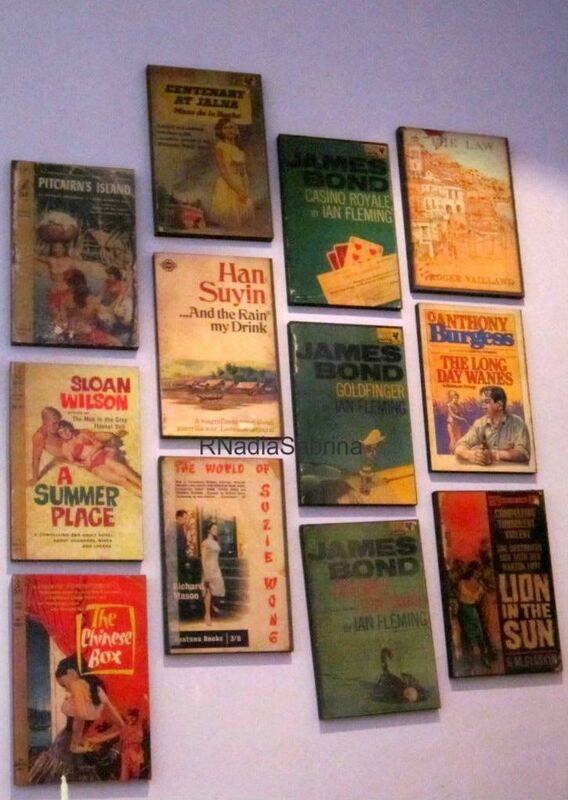 Some vintage movie/books (I'm not too sure) posters on display. It reminded me of similar things lying around somewhere in my home. Vintage and rare posters, magazines etc. It was a smart touch to the decor, me thinks. The Doctor, the Banker and the Lawyer. Amidst our busy schedule we still had a little time to take some photos! It was great to catch up and we laughed so hard reminiscing stuffs, especially our fashion mishaps during the Coldplay concert in Melbourne two years ago. Not my proudest moment ever even though the concert itself was out of this world.